Sorry if I am in the wrong place for this question but this is the only place i know to ask. Can anyone tell me what these items are for? I don't know, but the two side containers look like incense burners for cone (and/or?) coil types of incense? 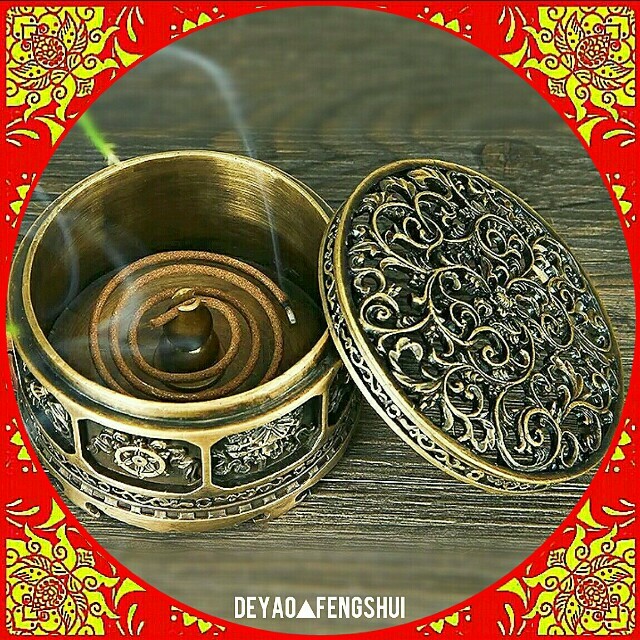 Exquisite beautifully handcrafted Tibetan style incense metal burner. 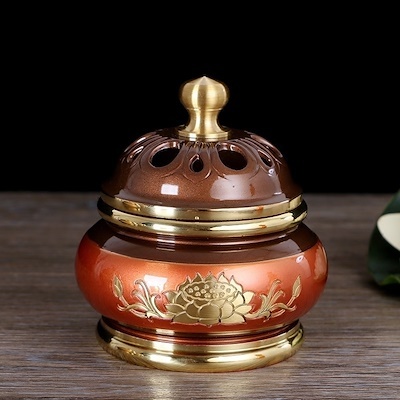 Heavy quality perforated scroll pattern lid cover, with eight auspicious tibetan symbols all round, is suitable for normal cone, back flow cone, powder, small coil and incense sticks. As for the middle tall container, it looks like a normal incense burner for stick incense (you have to put rice or whatever in it as a substrate, so that you can stick incense into it). This middle tall container actually looks like it is connected to the bottom plate, that is also a tray for the other two cone (and/or?) coil type of incense incense-burners (I am guessing these two side containers are also incense burners (of the cone and/or coil types)). If the set of three are actually incense burners, then I don't know what Buddhist tradition(s) they were orginally made for (for example: Tibetan, Mahayana, and/or Theravada). Thank you so much for your help, I think you are right on. Those two side containers could maybe hold perfume? I don't know. But if you think I'm right on that all three are incense burners, then so be it. I'm only pretty sure of the centre vase as being for stick incense. Also, of course, you fill this centre vase with rice grains, or some other substrate I guess, not cooked rice. I know that there seems to be some contention as to whether or not Buddhist worship Gods, so I hesitate to call this statue a depiction of a God. But I am trying to pinpoint what "Goddess" this is attempting to portray. If there is anyone who can help me here, that would be great. That novel is just my example of something that has Chinese heavens in it. Look into the Taoist religion, and you would find Chinese heavens also? Popular Buddhism in China -- with devotional practices like lighting incense, etc -- would have these Chinese heavens in their belief system? Years ago when I was looking at celebration photos -- for Thai New Year or something -- that happened at Metta Forest Monastery (of Thanissaro Bhikkhu's) I saw a photo of a receptacle of water with flowers or flower petals in it. The caption said it was perfumed water. I don't think coil incense could ever pass through the necks of the two side containers. Because of that perfumed water receptacle with flowers or flower petals in it, I think these two side containers could hold perfumed water. EDIT: I just looked at the two side vases again, and I guess they could hold very small coil incense --if there are such things as small coil incenses. SECOND EDIT: Fire goes out when there is not enough oxygen. Can any incense (coil incense, or any other incense) still burn with the lids-with-small-holes put on top of these two side vases? does give evidence for it. 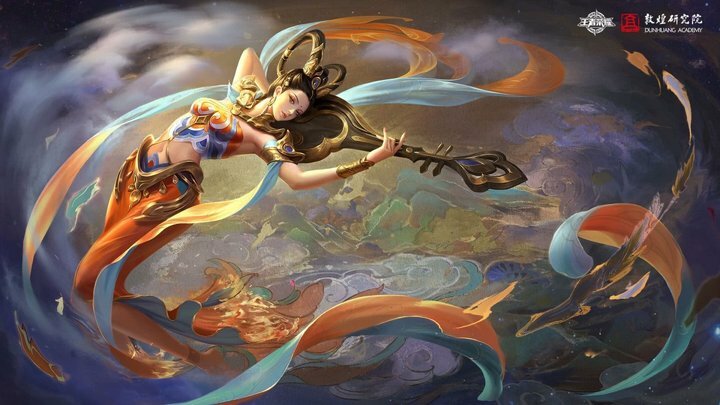 Apsaras are often depicted as flying figures in the mural paintings and sculptures of Buddhist cave sites in China such as in the Mogao Caves, Yulin Caves, and the Yungang and Longmen Grottoes. They may also be depicted as dancers or musicians. They are referred to as feitian (飞天) in Chinese. I hope this is my last post about your two photos (one of supposed buddhist altar stuff, and the other one of the statue). If Bhikkhu Dhammanando's answer does not really answer your question, you can also try, if you have not yet done this, 'Dharma Wheel' message board (the Mahayana message board affiliated with this Theravada 'Dhamma Wheel' message board; I think Mahayana Buddhism also incorporates Tibetan Buddhism, for your information). Bhikkhu Dhammanando may be correct, because that goddess statue sure is well-clothed, covered up in lots of clothing, maybe meaning that goddess is of a high rank, as opposed to, let's say, a celestial dancer who'd be wearing less clothing? Just a take on it, but that could be a wrong assumption on my part on how "goddesses" and other celestial female beings are depicted. Also, it depends entirely on the artist and/or art business? I don't know really. Don't know about business stuff, nor am I really an artist. But let's say it's not a mass-produced statue (again: not), by one artist: that artist could basically do anything they want; they could create the statue depicting a goddess (if it is a goddess, and not, for example, a human female entertaining in a human king's court) however they want, and depending on however much (or little) knowledge they have of their subject. You could also try asking at other Buddhist message boards, and at Quora, and at stackexchange (it's called 'stackexchange', right?). I translated the webpage that image is found at, with google's translation webpage ( https://translate.google.com/?um=1&ie=U ... b#auto/en/ ), but didn't get any information from the "lousy" translation.